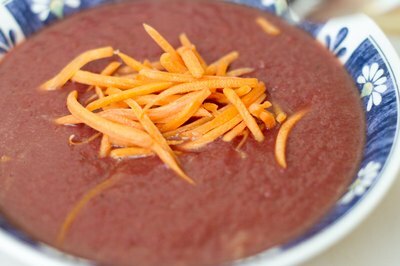 Before going on a diet, consider making red cabbage soup to lose weight. The cabbage soup diet may allow someone to lose weight within seven days. However, don't replace your balanced diet with the soup for the week, as it is important to eat a variety of fruits and vegetables. Red cabbage soup is known for its rich color and smooth texture. There isn't an official cabbage soup recipe because it varies based on different tastes. Melt the butter for the red cabbage soup recipe in the large cooking pot. Peel and chop the onion and place it in the cooking pot. Wash the green pepper and the apple. Peel and core the apple and remove the green pepper seeds. 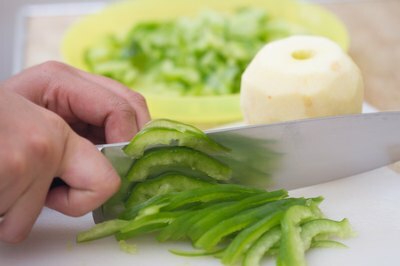 Chop the apple and the green pepper into thin slices and place them into the cooking pot. 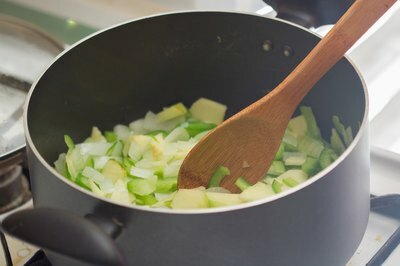 Cook the onion, green pepper and apple for the red cabbage soup until they are soft. Shred the head of red cabbage. 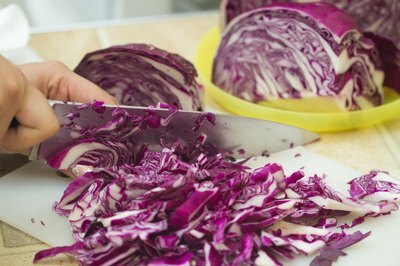 Remove the core from the cabbage, cut the cabbage into fine shreds and add it to the cooking pot. Continue to cook the ingredients for the red cabbage soup until they are caramelized. 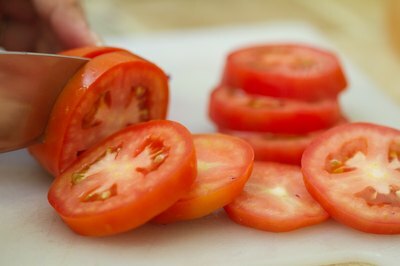 Wash and cut the two red tomatoes into 1/2-inch slices. Add them to the cooking pot. 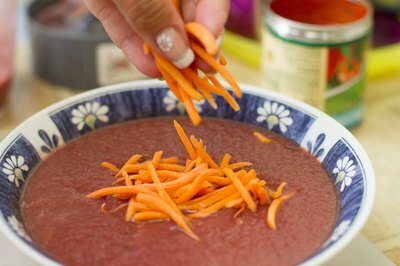 Combine the 4 cups of vegetable broth with the soy sauce, tomato paste, salt and ground black pepper in a mixing bowl. Add these ingredients to the pot. 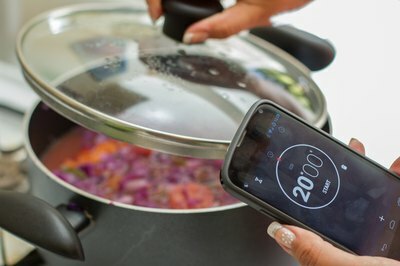 Cook the red cabbage soup over high heat for 20 minutes. 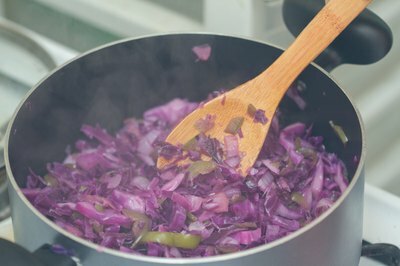 Once the cabbage is limp and cooked completely, remove the cooking pot from the stove. 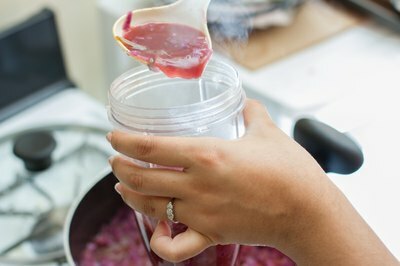 Pour the soup into a food processor and puree it until it has a smooth texture. Season the soup with additional salt and pepper to taste. 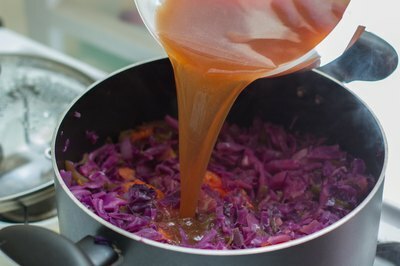 Serve red cabbage soup while it is hot. Garnish it with thinly sliced apples, shredded carrots or cheddar cheese to add additional texture. Add 1 cup of white wine to the soup for additional taste and flavor.